London Fashion Week is a Street Stylers dream, naturally stylish people flock to the streets and the areas around the shows, the atmosphere is fantastic and 99% of the fashion fabulous love to be stopped, so it makes my job very easy!! This year I decided to do something a little different regarding LFW, instead of running round like a headless chicken to all the shows I let my inner style stalker go wild and concentrated to lots of stalking at Somerset House! Even the Stalker herself was being style stalked, as my Burberry spiky jacket created quite a fashion frenzy!! The lovely Diana from TrendBridged took these! Over this week I will sharing with you some of my favourite street style stalkings, as well as of course the highlights from the Burberry show, so stay tuned!!! 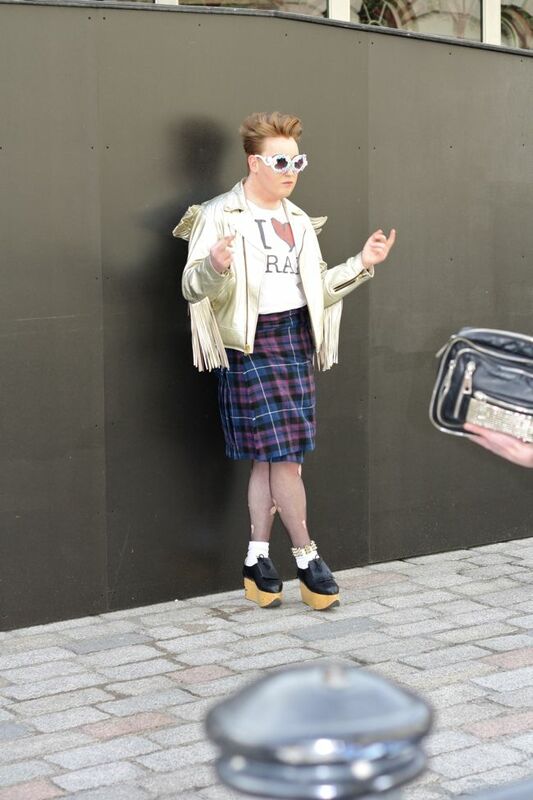 ahhh this makes me soo happy....london street style is the BEST!! Completely in love with the guy in the kilt! 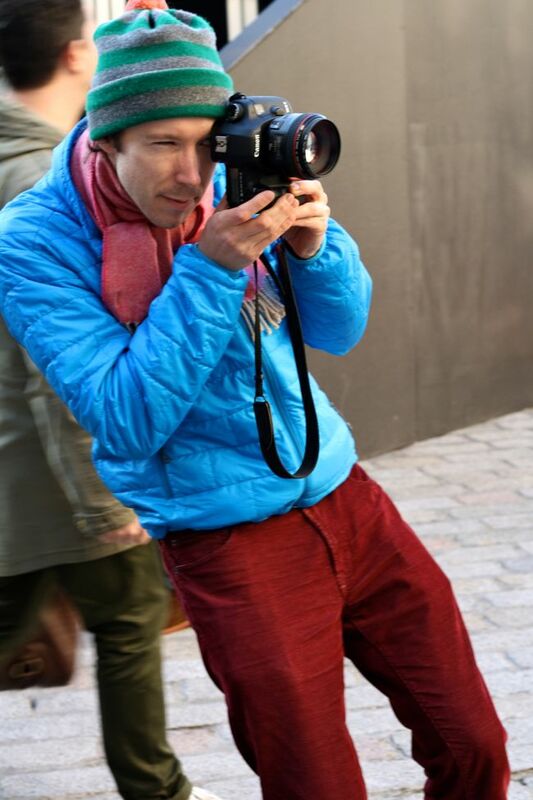 I might have to stop off at Somerset House on my way to work tomorrow to get some cheeky snaps! Amazing pictures i love the way you have taken pictures of the photographers instead of the other way round. i love you blog. that jacket is fierce! Amazing! Your blog is my no.1 for street style!